Lobster in Sheringham has a function room that can be booked. The pub has an outside area, it has a smoking area. Lobster has free WiFi. The pub shows football on TV, it has terrestrial TV. Robin Hood in Sheringham has accommodation. The pub has a beer garden, it is a family friendly pub. Robin Hood serves food. The pub has an outside area, it has a smoking area. Robin Hood has free WiFi. The pub has a dart board, it has a pool table. Robin Hood shows football on TV. The pub has terrestrial TV. Two Lifeboats in Sheringham has accommodation. The pub has a beer garden, it is a family friendly pub. Two Lifeboats serves food. The pub has an outside area, it serves real ale. Two Lifeboats has free WiFi. The pub is a member of Cask Marque. 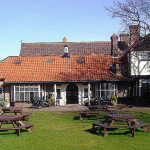 Tyneside Club in Sheringham has a function room that can be booked. The pub has a dart board, it has live music events. Tyneside Club holds Poker Nights. The pub has a pool table, it holds quiz nights. Tyneside Club shows football on TV. The pub has terrestrial TV. 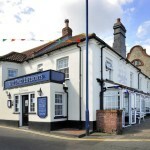 Burlington Hotel in Sheringham has accommodation. The pub has a function room that can be booked, it shows football on TV. Burlington Hotel has terrestrial TV.